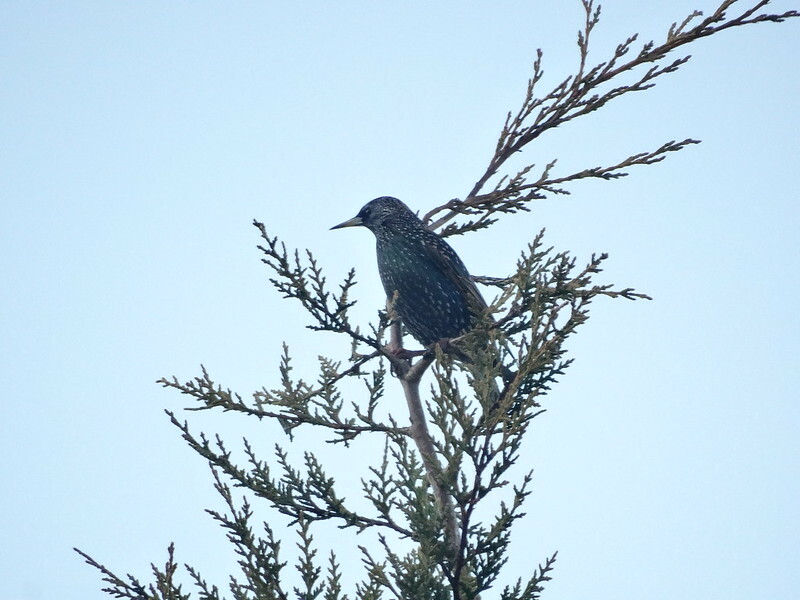 The starling is a very underrated bird in my opinion. It's actually truly beautiful. Take the time to study one of these creatures and you'll see they aren't just black like I thought for so much of my childhood, but speckled and actually really colourful. Apparently, I needed to observe the world around me more as a child. The birds look a glossy black with iridescent patches of greeny-blue on their chests and beautiful russet brown stripes on their wings. In the Spring, a male will build the start of a nest and then sing to attract a female who will come and finish off the nest. They often nest in holes of trees or even buildings. When the female lays her eggs, they are a beautiful blue. I remember seeing one on the ground when I was a child - I was amazed at the colour, I'd thought eggs were always white, cream or brown (how wrong I was!). When I was younger, I remember watching noisy flocks of starlings gathering to feed on the lawn. They were so funny to watch. Nowadays I don't get many in my garden, however, I've recently started looking out for birds regularly in my garden and I've discovered that a single bird will perch in the top of one of my trees and sing for a while. 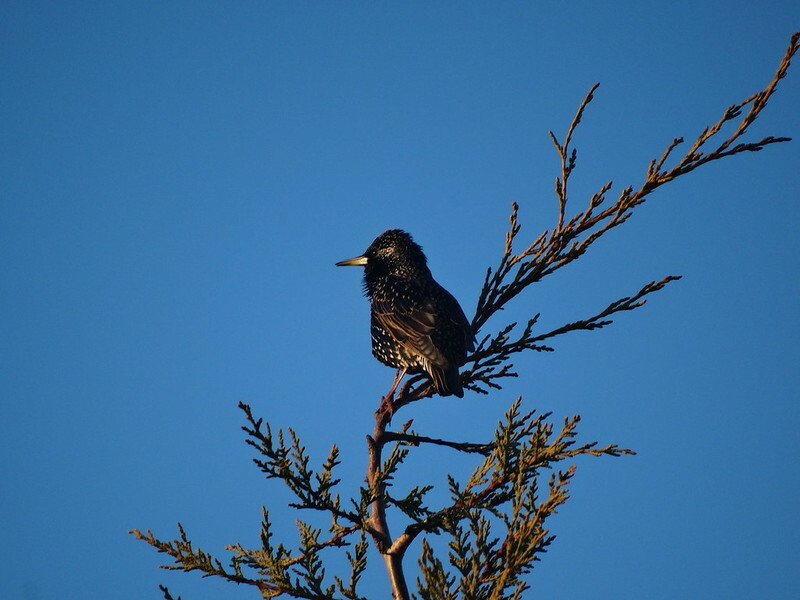 The starling's song is never very musical, but any birdsong is a delight for me to hear. Over winter, if you're lucky (and possibly know where to go), you may get to witness a starling murmuration. Murmurations are where the birds come off their feeding grounds and gather together in a flock and fly through the air making mesmerising shapes for a time before suddenly they all drop down into their roosts to spend the night. I've only seen one starling murmuration over at Godmanchester Nature Reserve in Cambridgeshire but always hope to see more. I think the starling is a fascinating bird and I really wish they visited my garden more often. I regularly see them on my walks into the village, but never when I visit the Old and New Bedford Rivers near Sutton Gault. I guess maybe my house is a little too close to the open farmlands for them. I hope you enjoyed my post on the Starling, I'll leave you with a final picture I took while birdwatching earlier.